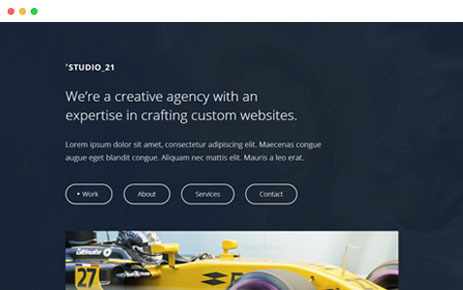 Studio21 is one of our best html portfolio one page template with integrated about page, service section and a contact section. Display your work in the best way possible. The minimal and modern design helps to bring the message of your work to your customers. 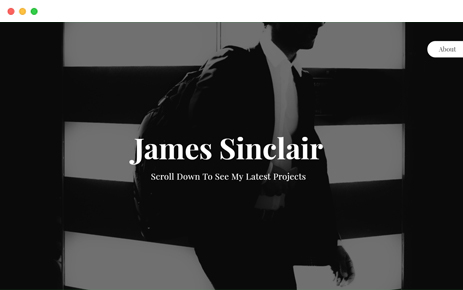 Sinclair is a responsive portfolio template for any purpose. 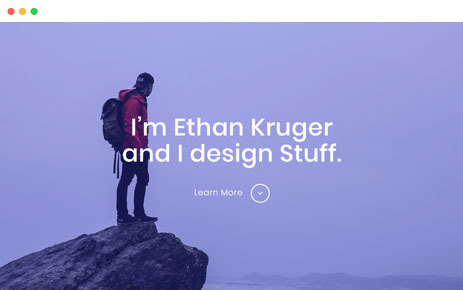 It is minimalistic and clean build on the latest version of bootstrap. The intention was to create a simple experience to showcase your work. 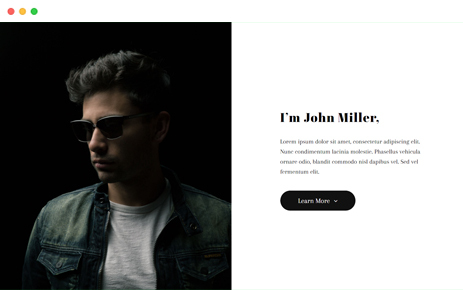 Miller is a personal presentation CSS website design. It should empower you to create a beautiful presentation of your identity. The idea was to make the layout as simple as possible to reduce drop rates from your visitors. The template is build up on bootstrap what makes it extremely scalable. 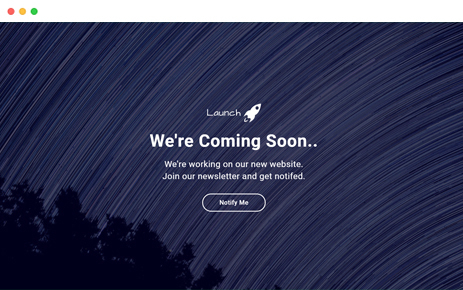 Launch is one of our more modern coming soon template with integrated subscribe form. You clients email addresses will be directly saved in a text file. The interactive parallax background image creates a stunning experience. An advanced intro animation system provides a premium look. 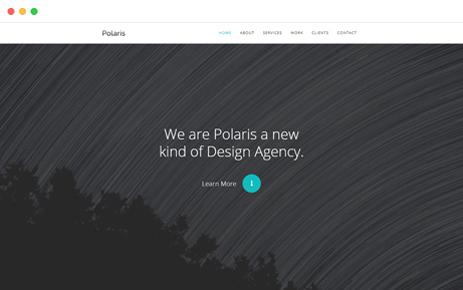 Polaris is one of our very classic looking one-page templates. The look is a little bit futuristic with a small touch of old school elements and UI. Bootstrap is completely integrated into the web design layout to make it as customizable as possible. It should also empower you to create a lot of your own elements. 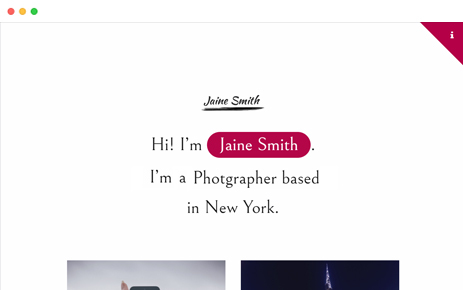 Jaine is one of our classic portfolio template with integrated about page. Display your work in a beautiful way. The minimalistic design helps to bring the message of your work to your customers. 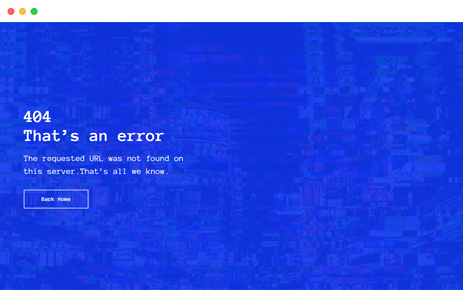 Defcon is a small multi-purpose 404 page template with an integrated glitch background effect. The animations are a little bit more futuristic. The design is made for any possible occasion or purpose. ... more is coming soon. Get notifed when we release a new free html template. All templates are licensed under the Creative Commons Attribution license. © 2017 Template Foundation. Trademarks and brands are the property of their respective owners. 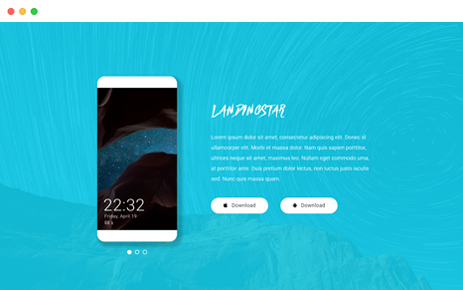 Never Miss A Free HTML Template. Get notifed on social media or via mail when we release new templates. ... completely for free. In return, just give us (Template Foundation) credit for the template.